Looking for a chance to give back to nature at Lord Creek? How about volunteering to maintain the trails or help support an upcoming event? 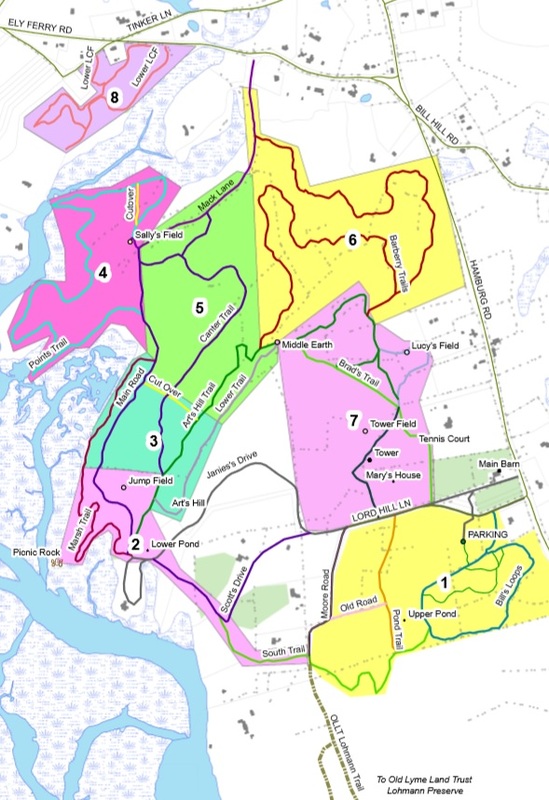 To download the map of Lord Creek zones click HERE. Each zone has an individual or individuals responsible for maintaining the trails. Please reach out to info@lymetrailassociation.org if you are interested in assisting with maintaining a zone we'll help you get in contact with the correct person. If you are interested in supporting an upcoming event contact info@lymetrailassociation.org. See Events/Announcements for upcoming events or click HERE. Lord Creek Zones are shown below.